If you have gotten this far then the trickiest part is over. You have downloaded the file and clicked Run to begin installation. 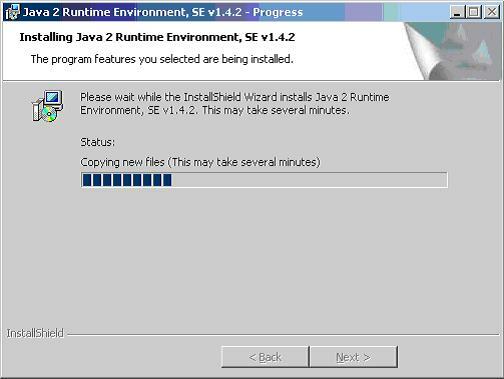 If you have not done this, please go back to Download Instructions or find the j2re-1_4_2-windows-i586-iftw.exe file on your machine and doubleclick. From here you pretty much follow the instructions that are on the screen. 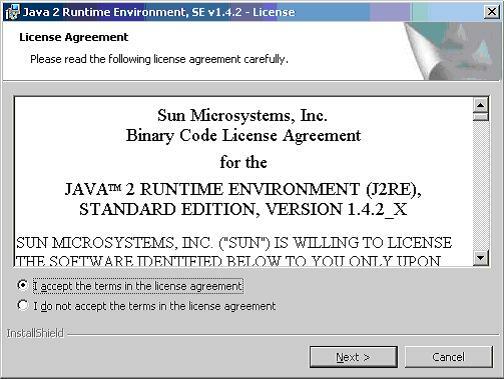 First you must accept the terms of the license agreement. 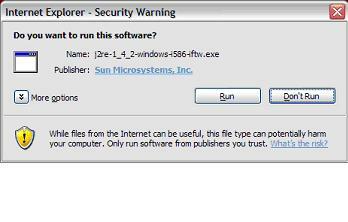 If you do, select "I accept the terms in the license agreement" and then click Next. 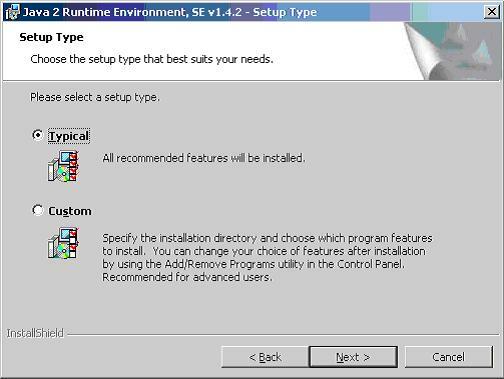 Now select the Typical setup, and click Next. 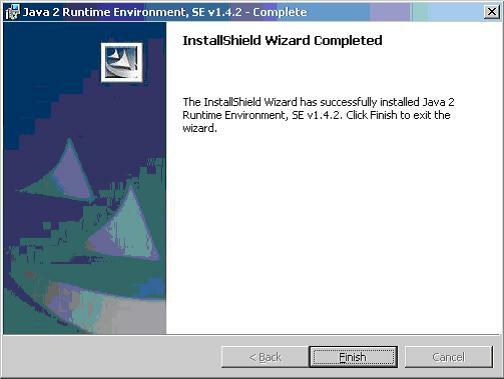 You will now see a screen providing the status of the installation. You are almost done. Installation is now complete, click Finish.